A new report and video from Health News Wires titled Good Gut Germs for Weight Loss and Improved Health details how specific bacteria found in the digestive tract can increase weight loss and improve overall health. Bacteria, weight loss, and digestive health are very closely connected. This article demonstrates the importance of including gut-cleansing foods and bacteria in your diet. Definitive evidence demonstrates that specific bacteria found in the gut can contribute to weight loss, improved immune system, and are able to prevent digestive issues like irritable bowel syndrome. 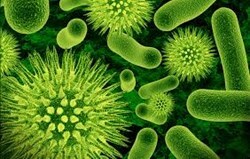 The human body is host to over 10,000 species of microorganisms, primarily bacteria. Most people carry between three and five pounds of bacteria in and on their body; trillions of bacteria live in the digestive tract alone. While some bacteria and microorganisms can cause harmful infections and other illnesses, most of the good bacteria, or probiotics, in the body are beneficial, These new strains of bacteria demonstrate the ability to affect body weight by either encouraging storing food as fat or quickly metabolising it and passing it from the body. Another bacteria found in the digestive system can lessen the severity of several digestive ailments, including irritable bowel syndrome, leaky gut syndrome, and Crohn's disease. The complete Good Gut Germs For Weight Loss and Improved Health article and video are available at http://healthnewswires.com/good-gut-germs. Rid the gut of of harmful bacteria by following the advice offered in a free report titled The Top 10 Gut Cleansing Foods. The Top 10 Gut Cleansing Foods is available at http://HealthNewsWires.com/probiotics-gut-health/.